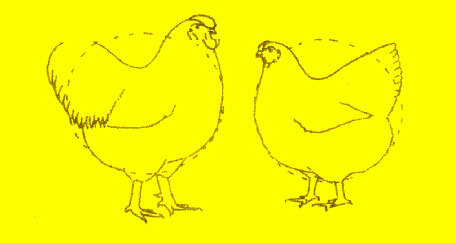 When someone chooses a particular breed of chicken to raise, in most cases a number of factors figure into the decision. Personal taste in terms of the “looks” of the bird- it’s body shape, feathering, color, type of comb, etc. may all play a part and they should because with all of the breeds of chickens out there, it makes sense to please one’s self if you are going to have them around for years. If one is wise, however, other things should be taken into consideration as well: breed temperament, it's ability to adjust and do well in the climate in which they will be raised, how the breed would fit into the facilities one has, and so on. Rather than continue to discuss such things in the abstract, I will explain how I came to the decision to raise Wyandotte bantams exclusively for the last twenty-five plus years. 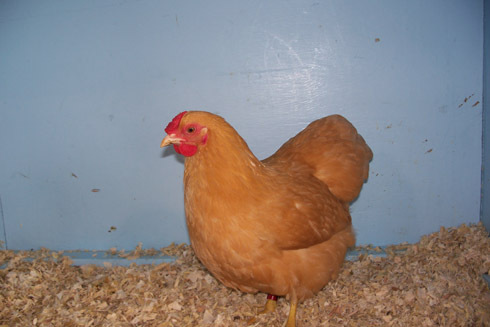 This 2007 hatch Buff pullet was the product of over a decade of selective breeding. First of all, they were not the first breed which I had raised. I had worked extensively with Rocks, Brahmas and Silkies over the previous 20 years. In addition, I had brief flings with Black Giant large fowl and Cochin bantams. I actually had quite a bit of success with some of them (Champion Brahma bantam at a Brahma National, Champion Silkie at two Silkie Nationals, Reserve Rock bantam at a Rock National on a Silver Pencilled). The fact was, however, that each of those breeds came up short in my mind. The Silkies were too delicate and too high maintenance, the Rocks were too aggressive and their single combs tended to freeze during Northern Illinois winters, and the type of the Brahmas just didn’t “sing” to me. 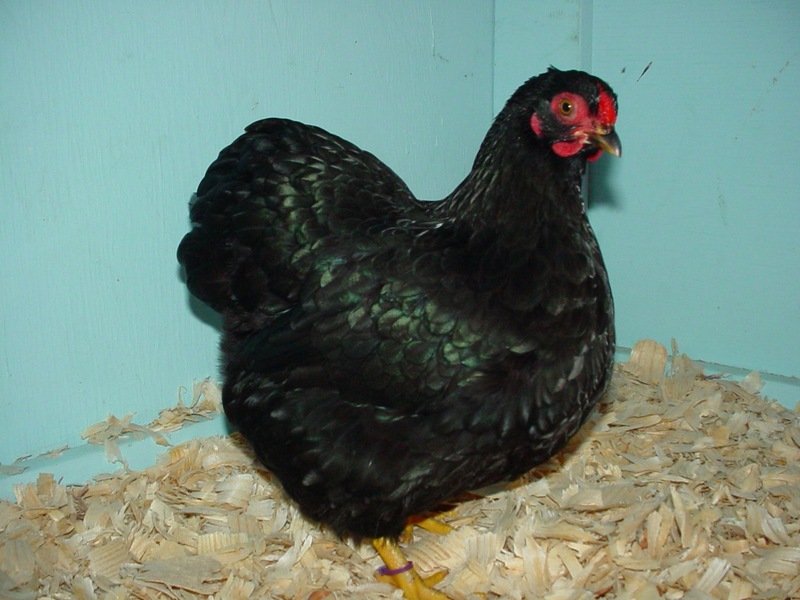 My introduction to Wyandotte bantams came when I admired a friend’s flock of Blacks and he sent me some hatching eggs the following spring. It didn’t take long for me to realize that the ‘Dottes were the breed for me. I loved their curvy type and short, strong heads. They had rose combs so no problems with freezing in the winter. They were clean legged which meant no problems with broken foot feathering and fewer problems with leg mites. They did not suffer from fertility problems, were heavy feathered enough to produce eggs right through the coldest winters, and if I wanted them to be, they made excellent broodies and mothers. 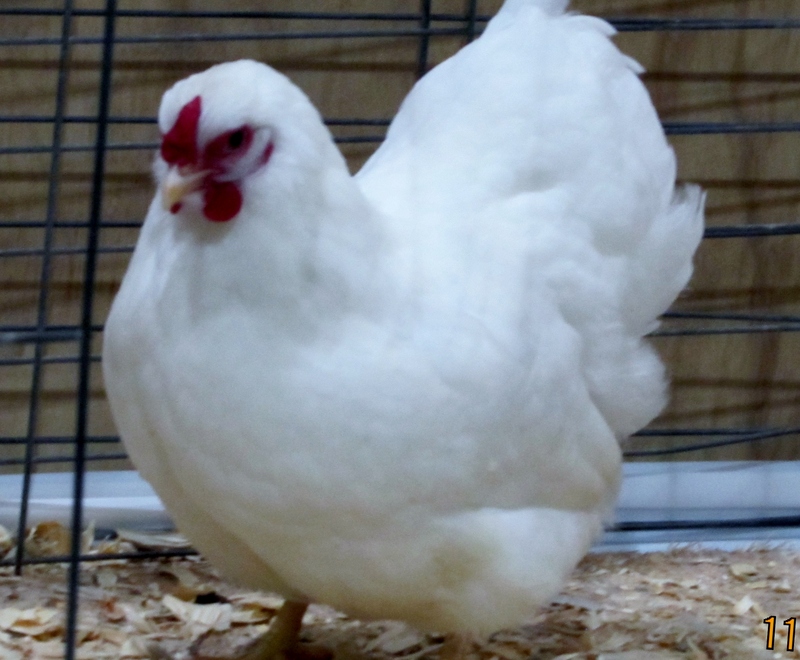 Most Wyandotte bantam males are assertive but not mean, and the females are most friendly little chickens. In short, the Wyandottes as a breed has the whole package as far as I am concerned. My next decision, however, was important and it would prove to be difficult. My facilities at the time were not large enough for me to properly raise more than two varieties in addition to my bantam ducks. I would have to choose among the 18 or so color varieties that the breed has to offer. I raised Blacks for several years and then took up Partridge for a few years. I wanted to raise Buffs in the worst way as I love the color but I could not find any with which to work. Meanwhile, I tried Whites and loved them. I finally did locate some Buffs and a serious breeding project was begun. It soon became apparent that they needed so much work that I would need to raise 75-100+ every year for a number of years if I was going to make any progress. That meant that the Whites and Blacks would have to go while I concentrated on the Buffs exclusively. After fifteen years, the Buffs were beginning to be what I had hoped for. In 2006, I began raising the Whites again. In 2013, I again had two nice matings of Blacks thanks to good friends Jack Westcott and Jeff and Michelle Schmalifeld. So, that is my story. The affinity one has with a particular type and/or color is truly a personal thing. Take the time to do some exploring and you too will find the perfect breed (or two) for you. There are many wonderful breeds of chickens out there. Take the time to find the right one(s) for you and your enjoyment in raising them will be magnified. 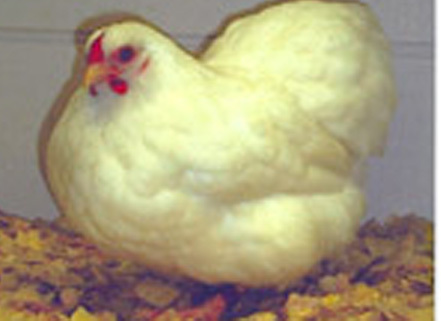 This pullet was Best Buff Wyandotte bantam at the 2008 Eastern Wyandotte National Meet in Columbus, Ohio. 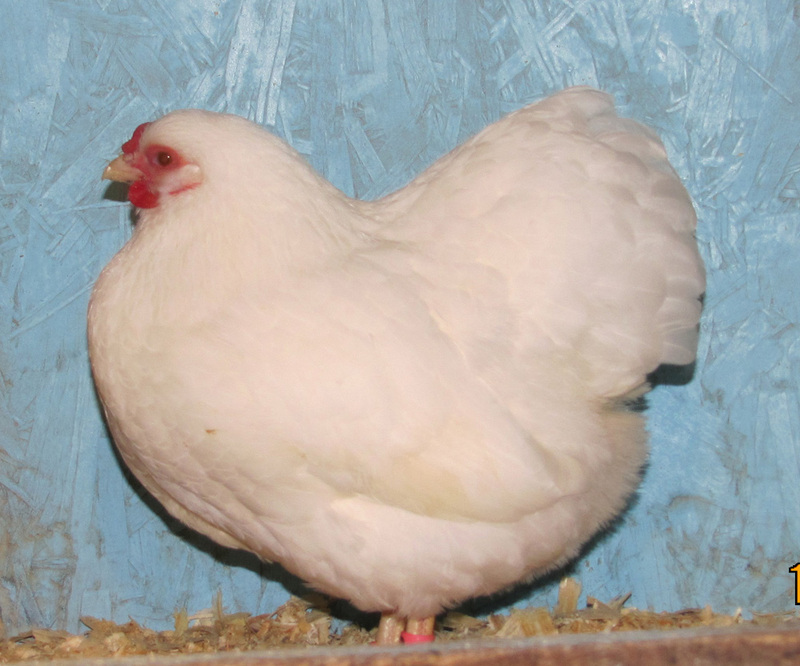 This White pullet illustrates well the short, broad head necessary in a good Wyandotte. 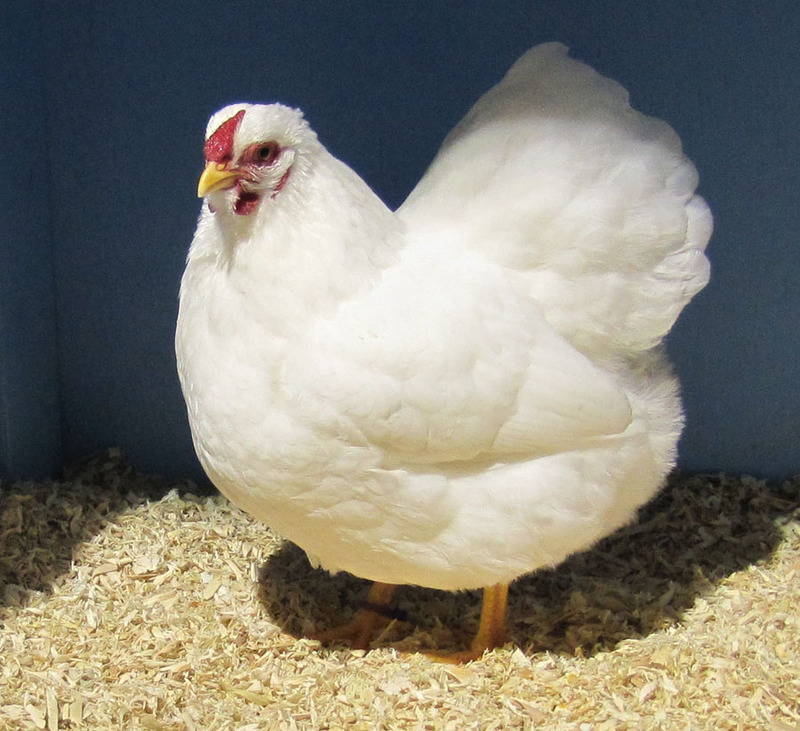 This winning White pullet illustrates very well the curvy profile of a good Wyandotte female. 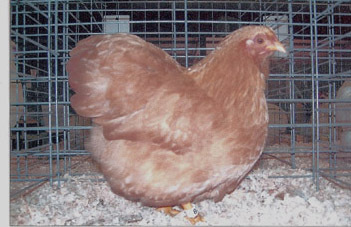 A Buff female illustrating the even color which is often hard to achieve in Buffs of any breed. 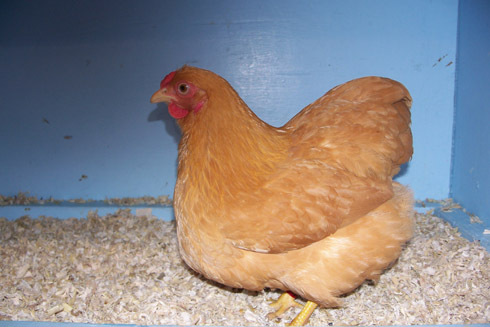 After many years of being without Black Wyandotte bantams, I was given a good start in them in 2013. 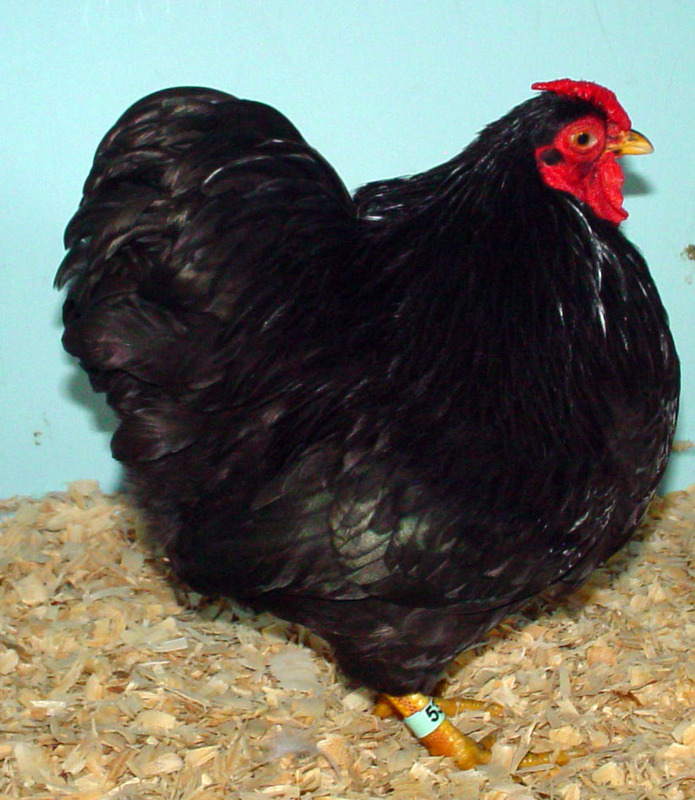 This cockerel is a first generation product.